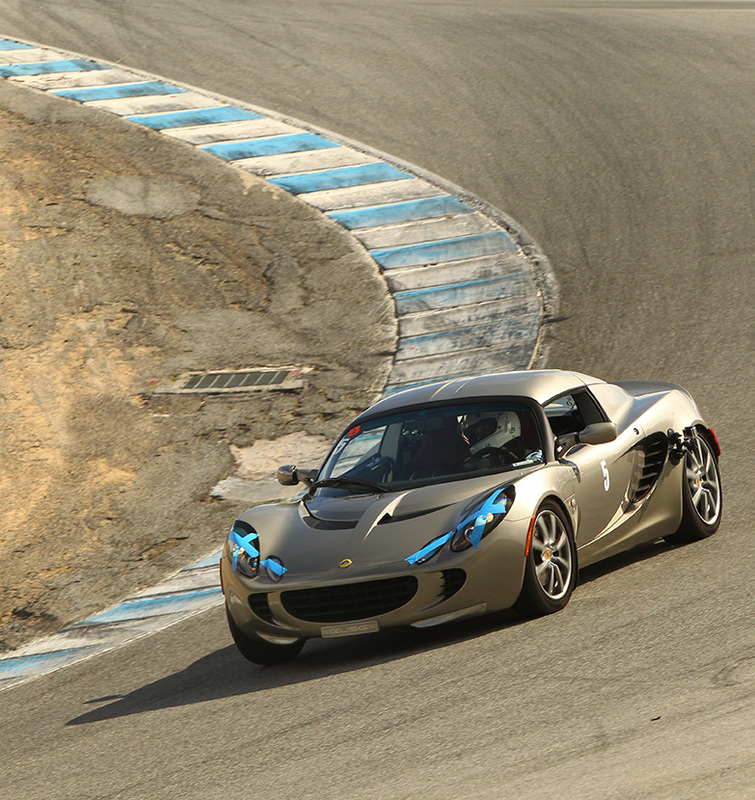 Lotus Elise on track photography: These photographs are by Dito Milian from GotBlueMilk.com. The photographs add so much to the story and are a great way to remember such a great day. Thanks Dito! Everyone has life goals and dreams they hope to achieve whether it be purchasing your first home or landing that dream job. 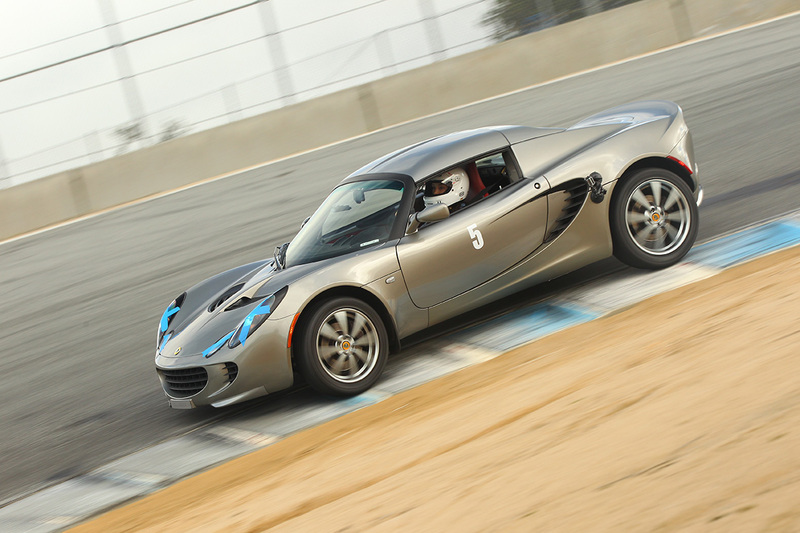 I’ve been dreaming of something a little faster and totally addicting: taking my Lotus Elise for a track day. I’ve become hooked to the point of no return and can’t imagine a better way to be; that’s why Hooked On Driving is such a perfect fit. 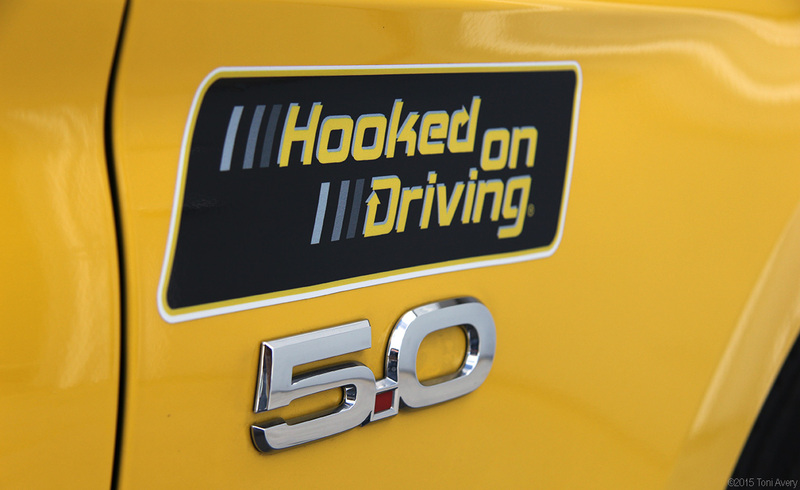 Hooked On Driving (HOD), is a wonderful program geared towards enthusiasts who love taking to the track but want to use their own car. It’s a lot more affordable than racing school yet there is more risk of a greater loss. Most all insurance companies will not cover anything that happens to your car on the track, which is where racing school benefits come in. You can pay a small fee in case something happens to a school car and will be responsible for the deductible, depending on the amount of damage. That’s why working your way up to tracking your own car by attending a couple of schools is important. With my years of experience at various schools, I feel that I have a better understanding of car control and the limits of the car and my own comfort level. It’s important to learn from professionals before you head out on track in your own vehicle. 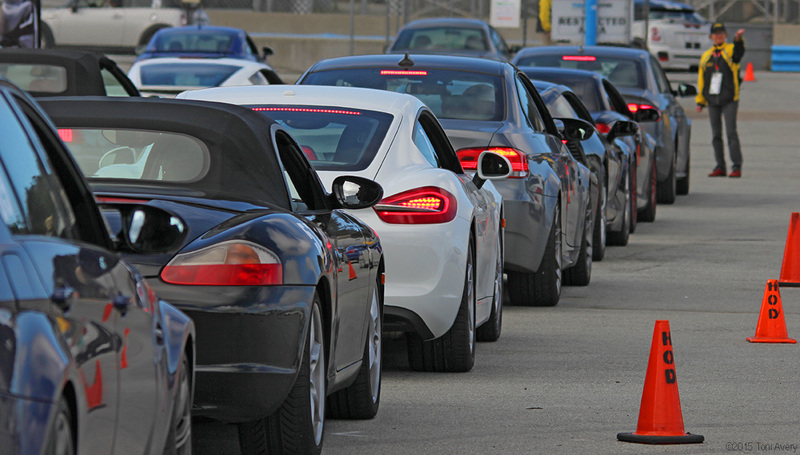 That’s another added benefit to Hooked On Driving; you can ask an instructor to ride along with you and guide you through each turn as well as sitting through classroom time where you can ask questions and learn more about the track in a calm environment. 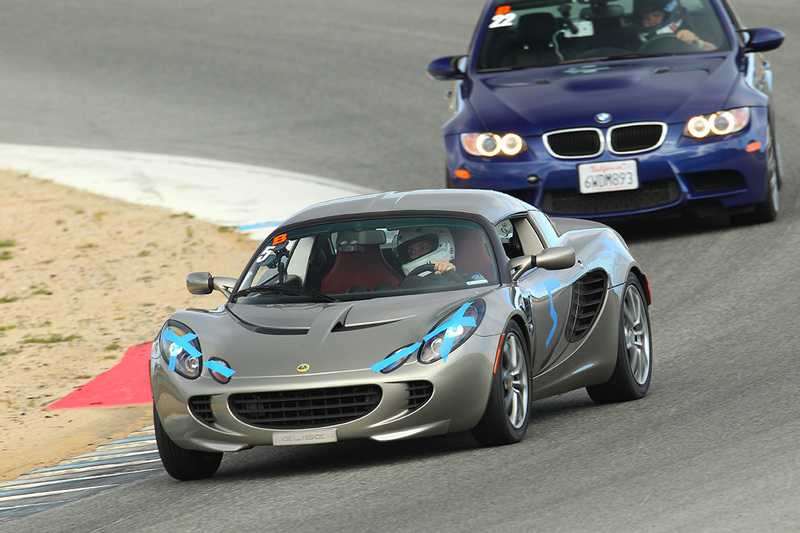 The Beginner group is the perfect transition from spirited canyon runs to on track action. In the beginner group you are guided through the fundamentals of driving including flags and their meanings, how to handle the unexpected, instructor guidance and more. Starting in the beginner group doesn’t automatically mean you’re slow it just means you lack the track experience that you can quickly gain through the assistance of instructors. Another responsibility you have to take on with tracking your own car is inspecting it before and throughout the day. HOD sends each driver a checklist of items you are required to look over before rolling any wheels on track. Just the basics, like brake pads, engine oil, no loose items in the car etc. This is a great way to become more familiar with the mechanics and basic functions of your car if you aren’t already. I do like having the benefit of knowing the racing school I’m attending has inspected everything for me prior to jumping in the car. At the same time, track days like these force me to become more mechanically familiar with my car when I’m required to inspect myself. I felt more at ease when our group leader announced that OnEdge Performance would be available for expert help on tire temps for maximum performance throughout the day. I was also excited to meet the owners of Suspension Performance, Lotus Specialists from Silicon Valley who offered to assist if I had any issues throughout the day. My first couple sessions out I was getting reacquainted with the track. It’s been a couple years since I’ve run at Laguna Seca although I always go up for the events during the Monterey Car Week. The classroom sessions were helpful for those who didn’t necessarily want an instructor to ride with them but wanted a better understanding of each corner of the track. 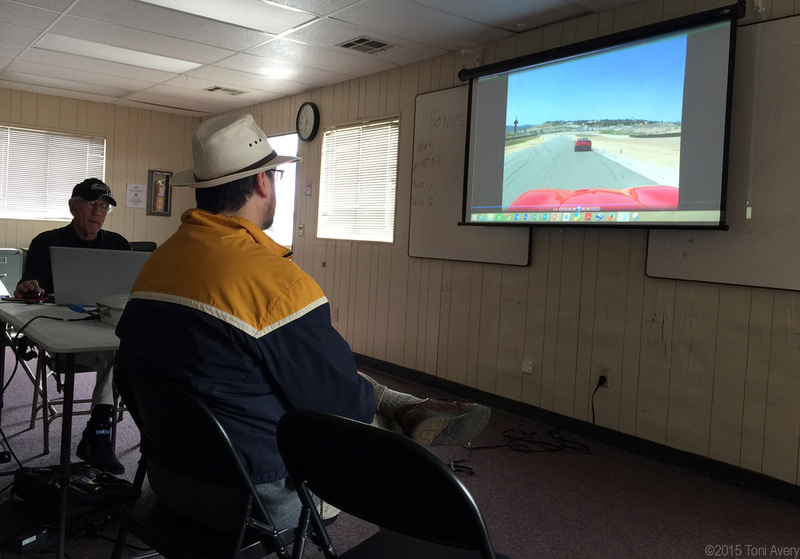 During one of the class room breaks, our group leader played instructor car footage of the track, pausing at each corner to explain the best line, turn in point, and apex helping us to maximize the track. In my experience, having an instructor in the car with you even for two laps in invaluable. 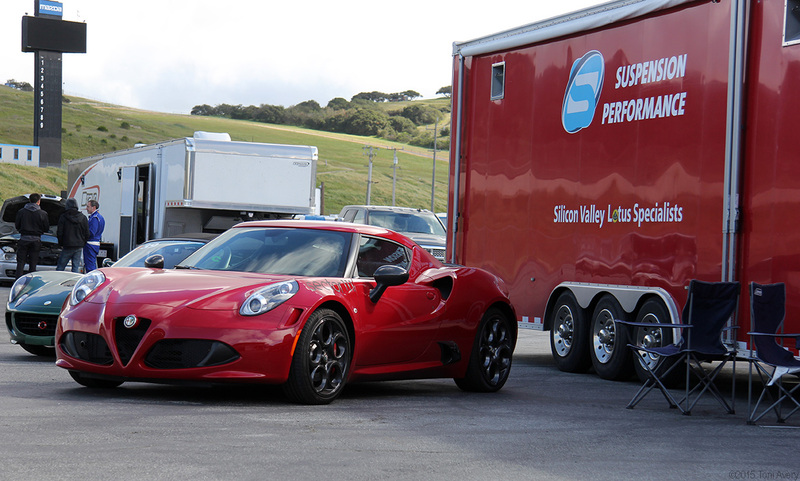 Since I’ve been on Laguna Seca before I felt the car footage we watched was enough for me, but if it were my first time I would have asked for some additional guidance. It’s my recommendation that you take full advantage of what the instructors are offering if you are new at this or are struggling with a particular section of the track. There is no shame in asking for help, but there is in having to call it a day because of a silly mistake. I placed myself in the Intermediate group so as not to embarrass myself in a class with cars and driver skill levels I could never catch. Intermediate was the perfect fit for me, especially considering I was going out against two other Elise’s and other more powerful cars. The Advanced group is geared towards those who participate in track days/schools often or who may have some professional experience under their belt and want to keep up their skills. 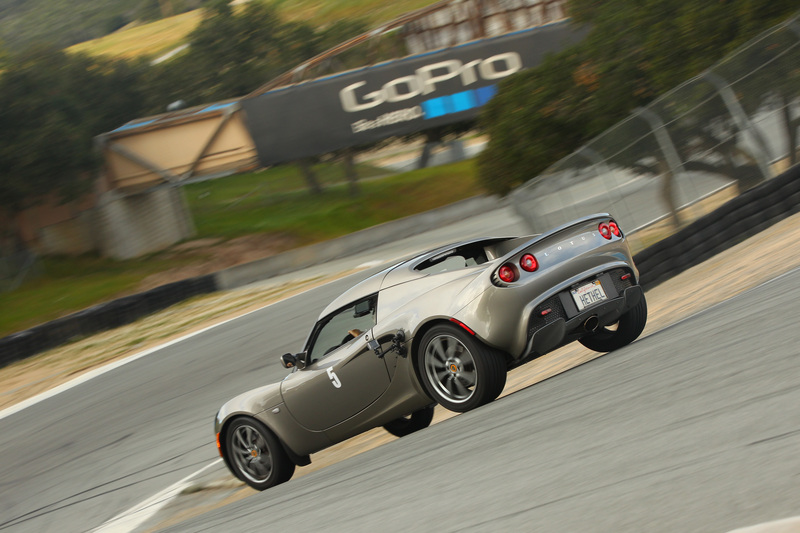 After a midday lunch I was feeling more comfortable pushing the Elise around Laguna Seca and decided to be less over-cautious and more aggressive. The car loved being driven hard and I felt even more comfortable at high-speed than being reserved. There’s a big different between driving fast and precise and driving fast in a reckless manner. I’ve gotten to the point of being able to know how far to push myself and the car before something irreversible happens. Sometimes it’s good to test your limits and see if you can go that extra step, but if you feel like you’re on the razors edge at 80 MPH and 82 MPH will push you over then stay at that level…until you are able to learn from professionals who can push you and make you feel more comfortable at higher speeds. Going fast is great, but you can’t be the fastest without having a perfect line. I always aim for a perfect line before I go for all out speed. That way I can work my way up at a more manageable pace than just going all out and making silly errors throughout the day and not learning from them. There were some drivers in my group that obviously spend a lot of time on track and have the experience and confidence to go fast while others were trying way too hard to be at a level they obviously weren’t ready to be on. It’s much better for everyone on track to swallow your pride and start at a beginner level when you have no experience than to fake your way through and risk hurting yourself or someone else. My last two sessions were my best and I could really see myself doing this on a monthly basis. Every time I’d hit the perfect apex or increased my speed on the straightaway or trust what was beyond that blind portion of the track I felt I gained so much more than speed. I gained the confidence in myself to push beyond where I thought I could go. Driving my own car on track is a scary and exciting thing. The possibility of damaging the car is met with the realization that I have used it for exactly what it was built to do. 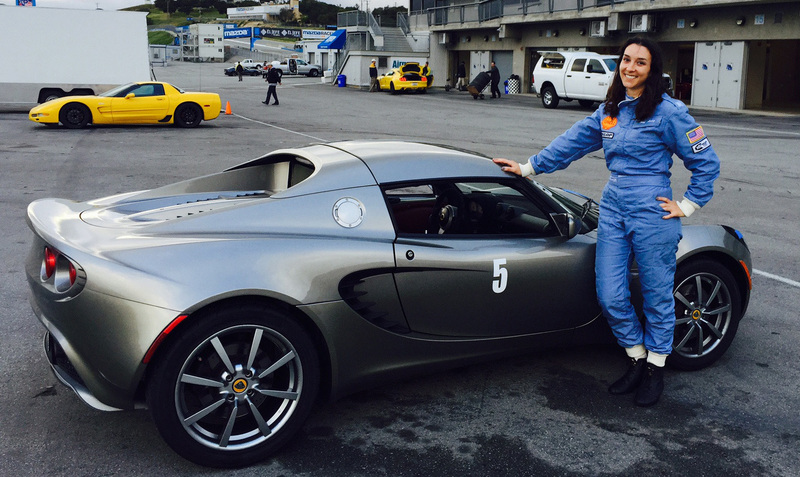 I absolutely loved my experience at Hooked On Driving Mazda Raceway Laguna Seca. Love it! And I thought I was the only one!